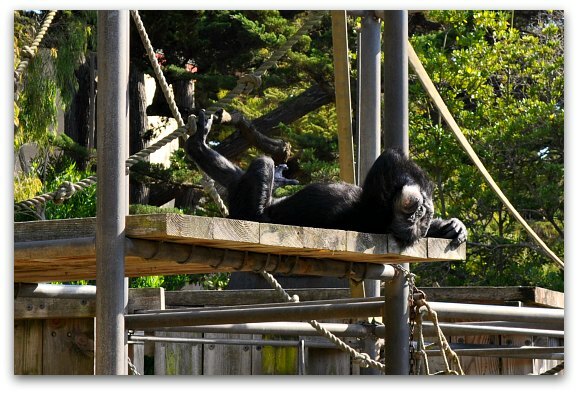 The San Francisco Zoo is a great SF attraction for kids of all ages. It's located next to the Pacific Ocean on the western side of the city. The zoo is full of interesting animals, including everything from giraffes to an endangered snow leopard. At the zoo, you can also ride the carousel, take a trip on the little puffer steam train, and hear stories about the animals. 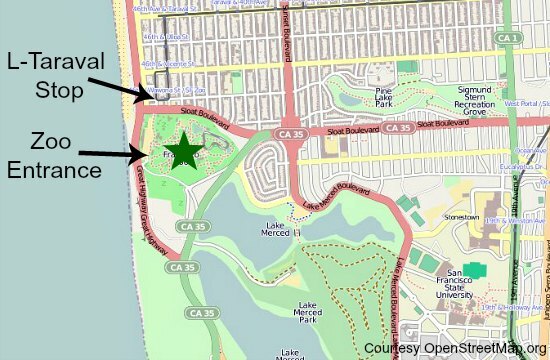 How big is the SF Zoo? They currently house around 2,000 animals with about 250 different species. The grounds cover around 100 acres. Due to its size, I recommend setting aside at least 3 to 4 hours to cover the entire attraction. You can get through it in just a couple of hours, but it's more fun to spend additional time just admiring the animals here. 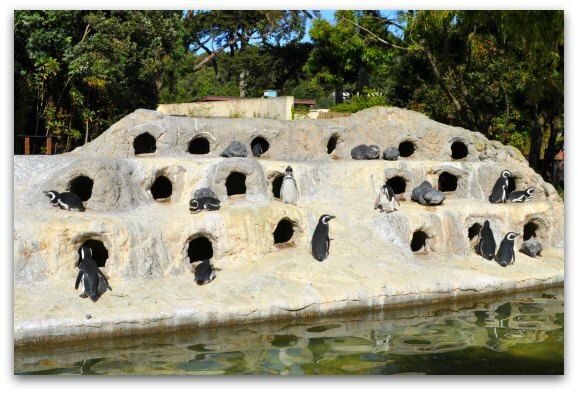 The San Francisco zoo is organized into seven different areas. Within each one, you will find several exhibits dedicated to a specific group of animals. Click the links below to jump ahead to each section and to learn more about the animals you will find there. The Primate Discovery Center is one of the first exhibits you'll see when you enter the zoo. The different species of monkeys are all in separate areas and it's fun to watch them socialize with others in their community. 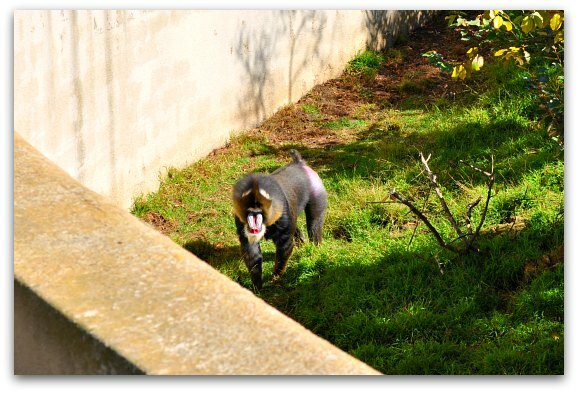 Here you'll find everything from chimpanzees relaxing in the sun to the colorful faces of the mandrills. 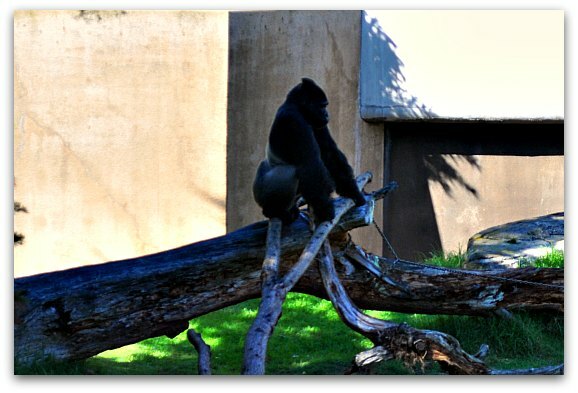 Other highlights in this San Francisco Zoo exhibit include a variety of lemurs as well as the Leapin' Lemur Cafe. The African region is a large complex full of giraffes, zebras, and gorillas. The area is really open with a lot of great spots to see the animals. It's one of the first areas you will find when you enter the San Francisco Zoo. Inside this region, you will find Gorilla Preserve, the Giraffe Lodge, and the African Savannah. Other highlights here include the African Aviary and Hoofstock Barn which is home to our ostriches. Here are just a few photos from my last visit. The Cat Kingdom is another highlight of the San Francisco Zoo. Here you will find the tigers, lions, and snow leopards. 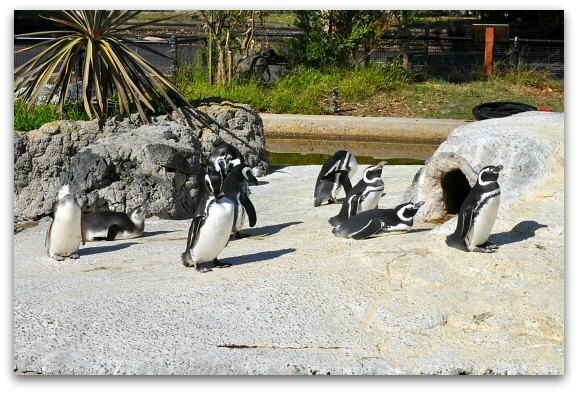 You will also find Penguin Island and two species of endangered rhinos. Most of the large, endangered (and dangerous!) cats are behind glass and fences, so it's tough to get a photo of them. However, here are a couple of photos of the penguins and a great photo of the black rhino, who was new and just couldn't wait to get his photo taken! There are currently four bears that call the San Francisco Zoo home. You will find two black bears as well as two grizzly bears. You can also check out Wolf Canyon and the chacoan peccary area. Another highlight of Bear Country is Eagle Island. 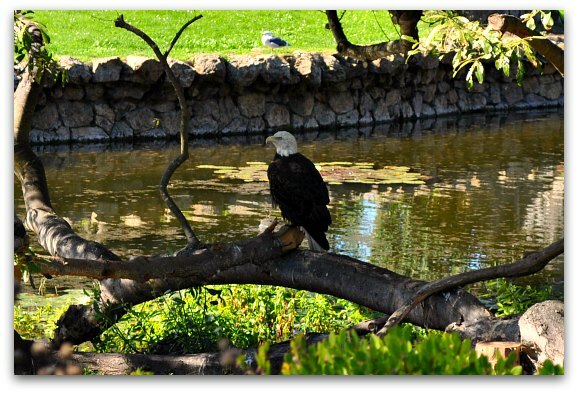 During my visit, I was able to see two bald eagles hanging out on the island. This picture shows you how close you can get to them. The Outback Trail features several animals from Down Under. Here you will find kangaroos and cassowarys. My favorite part of this area is Koala Crossing. That's where I saw this little guy taking a nap. What I learned when I was at the zoo is that koalas are nocturnal. This means they sleep during the day and stay awake all night. 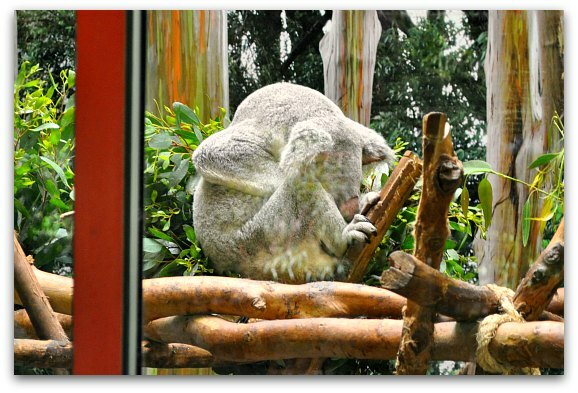 So, all of the koalas were sleeping during my visit, but it gave me a chance to get a close-up view of them in their little bedrooms. The South America exhibit in the San Francisco Zoo features animals from South America. You will find the sloths, an anaconda and free flight birds in the South American Rainforest and Aviary. Other things to see here include guanacos, anteaters, and capybara. The Children's Zoo is where you can learn even more about the animals. They have several interactive displays and exhibits designed for learning. Here you can watch communities of meerkats and prairie dogs interact. You can also step inside the Insect Zoo, visit Hawk Hill, stop by the Animal Resource Center, and learn more at the Family Farm. Another popular stop is Carousel Plaza, where you can ride the newly restored Dentzel Carousel. Although subject to change, here are the times and locations where you can usually watch the trainers feed the animals. Another thing to note is that there is a fee for parking right at the zoo. The cost for parking during the week is $10. The cost on Saturdays, Sundays, and holidays is $12. Little Puffer Steam Train: This fun train ride will take you past the animals and around the San Francisco Zoo. The train is almost 100-years old and is a fun treat for kids of all ages. You can buy tickets for the train upon arrival. Dentzel Carousel: Take a spin on the San Francisco Zoo's carousel. This historic gem is also almost 100-years old. You will find it near the Children's Zoo. You can buy tickets upon arrival. Elinor Friend Playground: Spend some time goofing around at the Elinor Friend Playground. 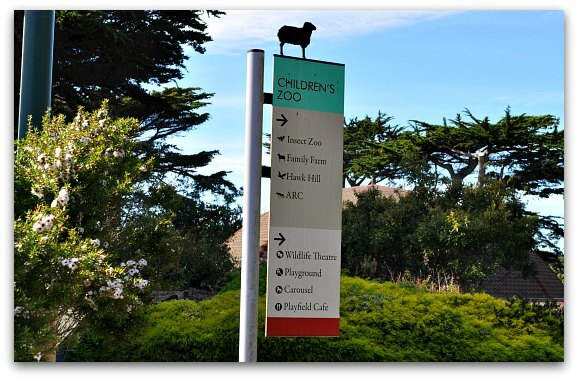 Access to the playground is free with your San Francisco Zoo admission ticket. There are three distinct areas. The first is for toddlers, the second for preschoolers, and the third is for pre-teens. Zoo Keys: One of the things I love about this zoo are the interactive Storybooks that start with Zoo Keys. You can pick up your Zoo Key when you arrive. 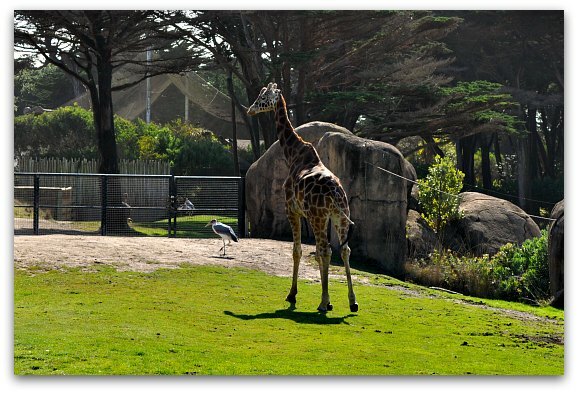 Tours: The San Francisco Zoo also offers three different walking and informational tours. They are offered on Saturdays and Sundays. Visit their website for details and to sign up for one of these fun tours. Zoo admission is included in the prices of some of these tours. In addition to all of the fun happening every day here, they also offer up several fun annual events and activities. Here are just a few of the most popular ones each year. Boo at the Zoo: Throw on your best costume and head to Boo at the Zoo. This annual event features trick or treating, a haunted nature trail, and Halloween crafts. One of the crowd favorites every year is the Pumpkin Chomp N' Stomp where the animals get there chance to have some fun. Find dates for this and other fun kids activities for Halloween. Zoo Lights: Celebrate the holidays with Zoo Lights. This annual event is in the evening and features plenty of activities. Not only with the zoo be lit, but Santa will visit and it will be snowing in certain areas. Find dates for this year and additional details. 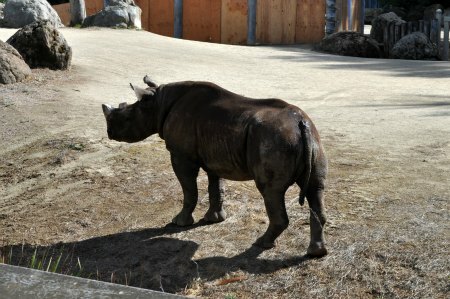 Is the San Francisco Zoo worth it? You can't beat a day full of fun for the little ones at the San Francisco Zoo. You could spend hours on end just watching the animals playing around. I think it's absolutely worth it if you are traveling with kids. As an adult, I really enjoy it too. I typically spend about 3 hours here each time I visit. My favorite areas are Bear Country and the Primate Discovery Center. It's so interesting to watch these animals in a setting that is safe and enjoyable. Plus, I love learning more during the daily talks they offer. There are several a day and they are free with admission, so make sure to check them out when you arrive. I also often interact with the trainers or employees when I see them. Even if it isn't during an official talk, I've learned quite a bit from them over the years. If you are interested in staying nearby, there are a couple of great options just a few blocks away. The highest rated lodging option near the zoo is the Ocean Park Motel. This motel is about two and a half blocks from the entrance to the zoo. This is a quiet, secluded motel to relax in after a long day of sightseeing in San Francisco. It's also right across the street from the L-Taraval Muni stop, which gives you easy access to downtown San Francisco. Find the best deal and book your room today at the Ocean Park Motel. 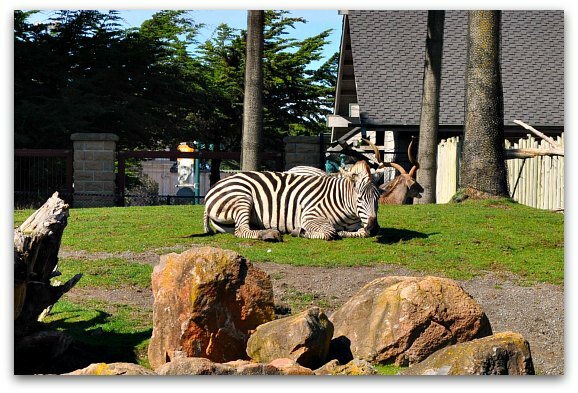 The two best ways to get to the San Francisco Zoo are by public transportation and by driving. Public Transportation: The best way to get to the SF Zoo from downtown San Francisco is by taking the L-Taraval train. The final stop for the L train drops you off about a block from the zoo entrance. You can pick up the L train at any underground Muni station along Market Street. 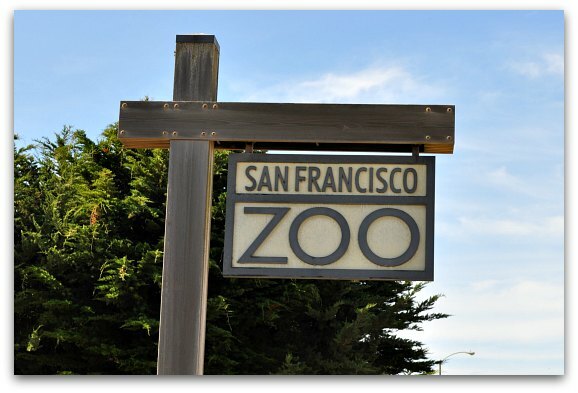 It will take you about 30 minutes to get to the SF Zoo from downtown San Francisco. Driving: There is plenty of parking both on the street and in the parking lot at the San Francisco Zoo. As I mentioned above, there is a charge for parking in the official zoo parking lot. If you park on the street, you'll want to check the permit parking signs to see how many hours you can stay before getting a ticket.